The speed of news moved faster than ever this year, at times threatening to induce whiplash among traditional and digital audiences alike. But here at Frontline, we’re finding that, despite how swiftly news cycles come and go and how rapid the pace of breaking news has become, the appetite for in-depth journalism and context isn’t shrinking. It’s growing. Even in the face of algorithm shifts at platforms like Facebook, serious investigative stories are being met with an expanding and enthusiastic digital audience. For some time, many in the journalism space have equated the digital news environment with shortened attention spans. “What works on digital” was assumed to be shorter, quicker hits — and to some degree, we had that assumption at Frontline. But at the same time, we remained committed to our documentaries both on air and online. I’m a proponent of a “right-form” approach to journalism — the idea of thinking about how to tell stories from the outset in terms of video vs. audio vs. text, short-form vs. long-form, whatever the right form for the journalism may be. Our shorter-form stories have done well digitally — but the big surprise to us over the past year has been just how strongly our longer-form journalism has resonated with digital audiences. We’ve seen this play out in a big way through our work on The Frontline Transparency Project — our ongoing effort to open up our reporting and make the source material that goes into building our journalism available and easily sharable. What we’ve done is about as in-depth as it gets: publishing dozens of extended video and text interviews digitally. We wanted to do this to build trust with our audience and to offer an antidote to the prevailing skepticism about the media today. It was an earnest idea. But as it turns out, it also ended up being an audience one: In the past year, digital viewers watched over 100 million minutes of our video interviews drawn from Frontline’s The Putin Files, one of our biggest Transparency Project installments yet. And they weren’t just watching for a minute or two. They average nearly 40 minutes per session. That interest in our Transparency Project wasn’t an outlier. We’ve seen a 46 percent year-over-year growth in the number of streams for our documentaries themselves. And the first season of our investigative narrative podcast, The Frontline Dispatch, earned over a million downloads. What this tells me is that, despite the constant flood of tweets, sound bites, and headlines, people are hungry for context and journalism that goes deeper. People are busier than ever and saturated with information. But there’s a real need that is being answered by in-depth reporting and storytelling. We’re seeing this at Frontline, but audiences are also seeking out longer-form stories everywhere from Netflix’s serialized documentaries, to ESPN with OJ: Made in America, to A&E with The Clinton Affair. Frontline is making a bet that even — especially — in this rapid-fire news ecosystem, in-depth, context-rich journalism will find growing digital audiences. In the coming year, we’ll see more and more news outlets finding success with deeply reported digital stories — and we’ll find that perhaps this is the sort of experience digital has actually been meant for all along. 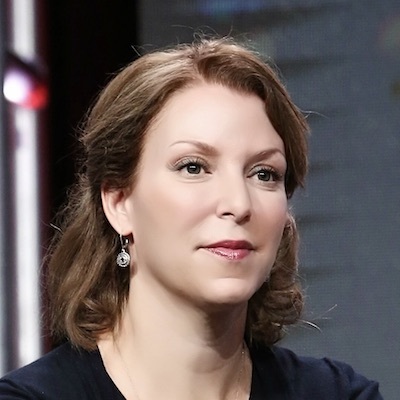 Raney Aronson-Rath is executive producer of Frontline.